Long trips can be fun, but figuring out where to park your car while you’re gone can be frustrating. We know you want to be able to park close to the airport, but you don’t want to be overcharged for your stay. That’s why at Red Beam Garage C, we offer long-term parking services that are both convenient and affordable. One of the best things about our Rhode Island Airport parking company is our proximity to the airport. Our garage is just a short, three-minute covered walk to PVD’s terminal. This means once you arrive, you won’t have to wait around for a shuttle and spend extra time getting to the airport. Instead, simply park your car, grab your luggage, and head to PVD to catch your flight. At Red Beam Garage C, we want you to enjoy your long vacation and not worry about your car while you’re gone. When it comes to Rhode Island Airport long-term parking, choose Red Beam and you’ll enjoy low prices, great service, and a hassle-free parking experience. We even offer parking rewards that let you earn points for every day you park with us. By making a reservation with Red Beam, you can sit back and enjoy peace of mind. 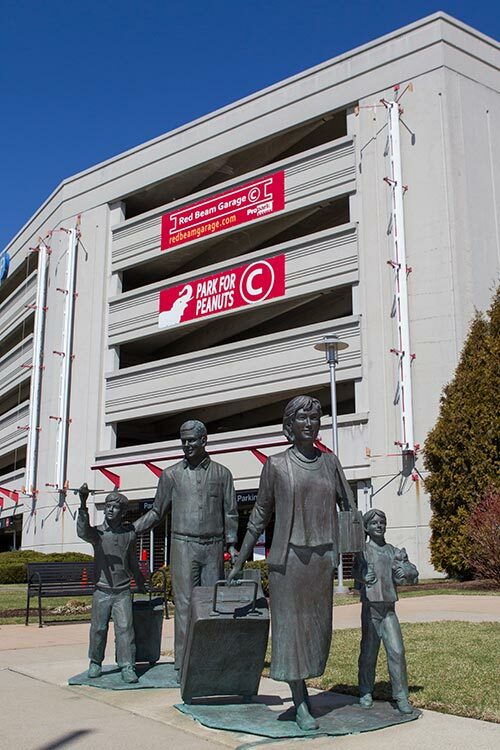 Discover the difference of Red Beam Garage C. Make your reservation today and join the many Rhode Island travelers who turn to us for quality long-term parking services.